When my wife and I were younger, we lived fairly close to an Applebee’s restaurant. So it wasn’t too surprising that we spent many a night sampling the offerings of this restaurant. Also not surprising is that a meal at Applebee’s would also include a Margarita for me, which my usual order would be their “Perfect Margarita.” Calling a drink “perfect” is certainly quite a bold statement, although I my memories of the drink were quite good. As time went by, my wife and I expanded our repertoire of dining and a trip to Applebee’s just didn’t happen quite so often anymore. Then we moved across town and Applebee’s simply wasn’t so convenient anymore. The bottom line was that it had been several years since I recall having a meal at Applebee’s and of course I had not written about the Perfect Margarita on this blog. So when the opportunity came up to eat at Applebee’s, I took advantage of it and of course had to have a reunion with the so-called Perfect Margarita. Given how far I’ve come in my Margarita journey, would the name still befit the drink? First of all, I was happy to see that Applebee’s still actually had the Perfect Margarita available. They even had a little advertisement on the table highlighting their various Margarita options. So far so good! I ordered their Perfect Margarita which listed 1800 Reposado tequila, Cointreau and Grand Marnier as the ingredients. Certainly a solid list of ingredients to start out with, so I looked forward to reuniting with an old favorite. 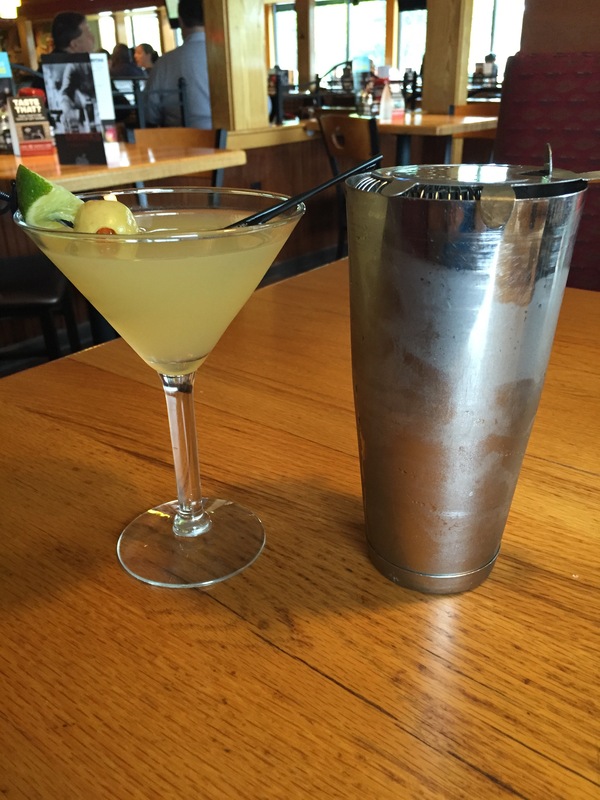 Years ago Applebee’s had always served the Perfect Margarita in a martini glass and shaker and I found that apparently they still do. So I poured my first serving and took a sip. I must say that the Perfect Margarita was as good as I remember it, although now I could discern the components a bit better. The overall flavor was very good and all the tastes were well-balanced. One thing that sets the Perfect Margarita apart from many chain restaurant Margaritas is that the tequila flavor actually comes through so that you know you are drinking a Margarita and not some generic fruity drink. Now on the downside, overall the drink did have just a bit of a bitter hint to it and while there might have been some fresh lime juice as part of the ingredients, I was fairly certain the Perfect Margarita was made with a mix. However, Applebee’s has certainly refined the art of making a Margarita mix as the Perfect Margarita is an excellent drink. The Applebee’s Perfect Margarita doesn’t exactly fit the profile of a handcrafted, made with all fresh ingredients cocktail that I have found to make the best Margaritas, but maybe it’s a bit of nostalgia kicking in as I rate it a 8.5 given that it just tastes so good!